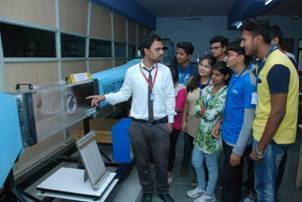 To grow up with holistic technical education, engage in research oriented knowledge, aiming at inducing skills to join in the march to build a society of tomorrow with a sustainable environment. To serve the people of the country by providing a broad, quality education to its youth for a successful professional career using interactive teaching-learning process with modern educational tools. To conduct strong basic and applied research for global needs by establishing synergy between teaching and research through knowledge and innovation. To serve the infrastructure industry; civil engineering profession and the rural community through dissemination of knowledge and technical services. Graduates will be able to achieve high level of technical expertise to pursue successful professional career or higher education in Civil Engineering with knowledge of basic sciences, analysis, design, drawing and engineering principles. Graduates will have skills and knowledge to apply modern innovative engineering tools and processes and materials for planning, design, execution and maintenance of works as well as research with technical viability, economy, ethics and with social acceptability. Participate in development of personality, communication skills and team work skill and to be ready to take up challenges of the current scenario, with an increasing understanding of matters important to society at national and international levels. 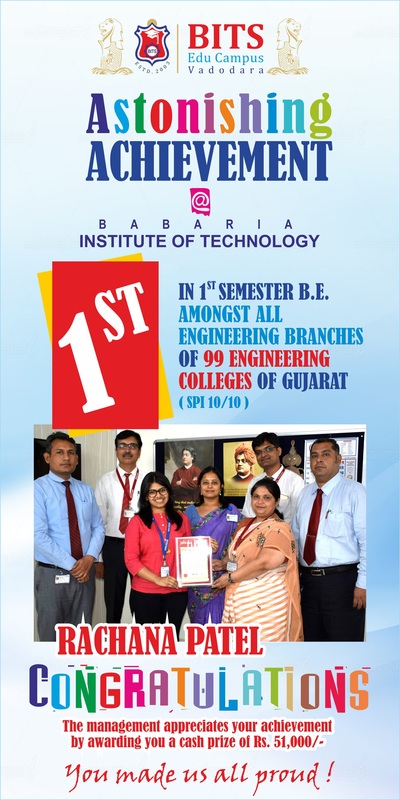 Babaria Institute of Technology was established in the year 2004 and Department of Civil Engineering is a part of the Institute. The Branch of Civil Engineering was introduced in the Year 2011 with an intake of 60 seats and at present it is having a total intake of 180 seats. Department of Civil Engineering is one of the primary engineering departments of the Institute. The department has grown tremendously over last four years and now recognized as one of the major engineering department of the institute. The department of civil engineering BITS is well established with high quality laboratories with rich blend of traditional and modern equipments. Our well qualified faculty members from various specialized fields of civil engineering are dedicated to perform their duties and cultivating strong links with the industry, academic institution research institutions and consulting firms. Apart from academics, Civil Engineering department is strongly working on inculcating discipline, moral values and youth building. We have received good appreciation for conducting personal counselling sessions for every student twice a semester by faculty members. To offer world-class undergraduate education and project guidance, the faculty members of Civil Engineering department continue to maintain and cultivate its strong links with the outside. 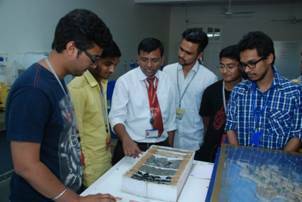 Civil Engineering department, BITS feel proud to contribute to the training process of future Engineers. 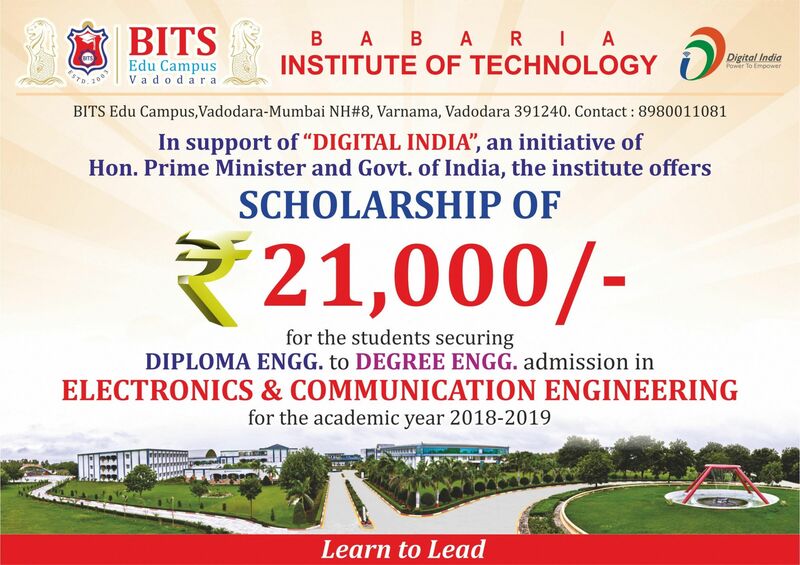 Why Civil Engineering @Babaria Institute of Technology ? The department has grown tremendously over last four years and now recognized as one of the major engineering department of the institute. Department started developing strong links with industries and academic institutions like NITs and IITs. 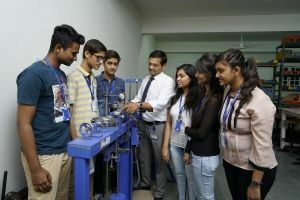 Apart from high quality teaching at UG level, department is actively involved in basic research in various fields of engineering through various students based projects and working models on various advanced techniques. The Department actively promotes faculty development activity and the course work is in line with the syllabus of Gujarat Technological University. In order to cope with the global requirements the institute provides the latest facilities to the students such as MM Class Rooms (Higher Semester), Networking of Class Rooms with electronic database and MM Theatres for conferencing. The building has well equipped laboratories to conduct experimental works. All the lecture halls are well ventilated and to be provided with latest teaching aids like multimedia-overhead projectors along with the black boards. Following are the well established laboratories in civil Engineering department. The laboratory is designed to give exposure in practical works carried out in five different areas of civil engineering viz. Surveying and Leveling, Building Materials and Construction, Building Planning & Design, Transportation Engineering and Water Resources Engineering. 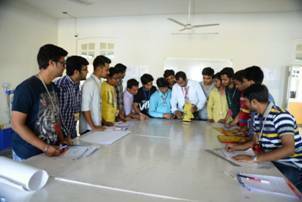 Students are given a field practice to execute various survey work for primary residential buildings etc. The laboratory is equipped with following major equipments. Models of Building, Society layout, dams, canals, Highway cross section, Bricks, foundations etc. The laboratory is equipped to perform experiments for various types of forces and force systems, verifying fundamental laws of Mechanics and testing of engineering materials e.g. mild steel, cast iron, brass, timber etc . The laboratory is equipped with following major equipments. Mechanical Extensometer With Dial Gauge. An advanced surveying laboratory is planned apart of the fundamental survey laboratory to carry our survey projects and also to take up the field survey consultancy works. 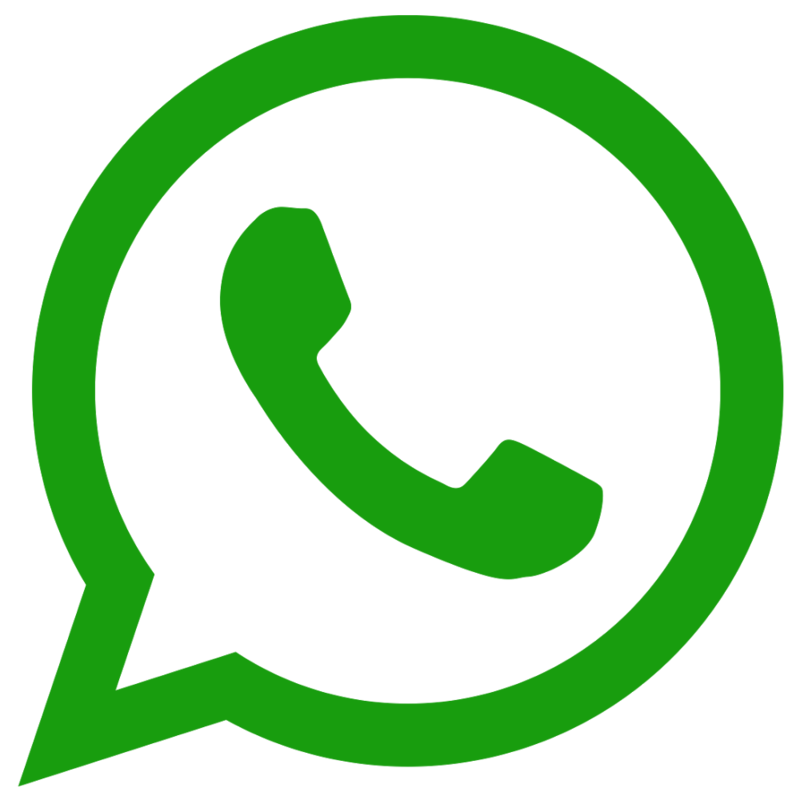 It is equipped with following latest equipments. Plane Table With all Accessories. Concrete technology laboratory is designed to carry out qualitative and quantitative tests for raw materials, fresh and hardened concrete. The laboratory is designed with a vision of testing requirements of industry and different research areas of concrete design. Major instruments existing in the laboratory are as follows. Models of building components and typical civil engineering structures are available in this laboratory for thorough understanding of the subject. More than 35 wooden and steel models and charts are obtained for the laboratory, some of them are listed below. Models of road culvert with single arch and box types, railway culvert, clover leaf junction, cross section of national highway, subsurface drainage, foundation, pneumatic caisson etc. Highway Engineering laboratory is designed to carry out qualitative and quantitative tests for raw materials like Aggregate, Sand, Bitumen etc. The laboratory is designed with a vision of testing requirements of industry and different research areas of highway engineering. Major instruments existing in the laboratory are as under. Bitumen flash and fire point test apparatus and Asphalt mixer. 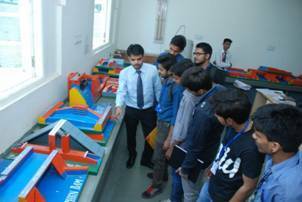 Engineering models of different typical hydraulic structures are provided in this laboratory for thorough understanding of the subject. More than 25 wooden models are displayed in this laboratory. The laboratory is equipped to perform experiments as well as to carry our field testing works in the field of Geotechnical Engineering. The key instruments available with the laboratory are Swell Pressure test apparatus. 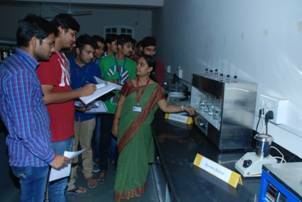 Environmental engineering laboratory is equipped with all the latest instruments of reputed brands to perform various experiments and tests on water, wastewater and air samples. The laboratory is ready to accept consultancy assignments and environmental audit challenges. Major instruments existing in the laboratory are as follows. 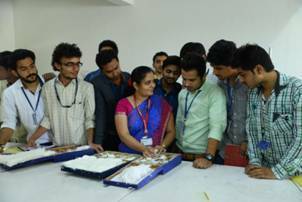 Different Rocks and 76 minerals are procured for this laboratory. Major specimens existing in the Laboratory are as under. 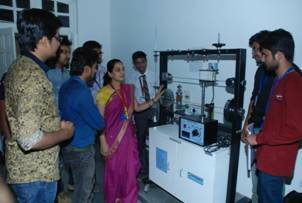 Earthquake engineering laboratory is equipped with a universal test frame which is having experiment set up for the following equipments. 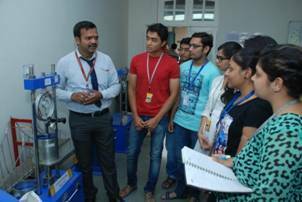 Fluid mechanics laboratory is well established to perform laboratory experiments of basic and advanced fluid mechanics. Set ups for following experiments are available in the laboratory.